This doesn’t mean that subbing work out doesn’t come with risks, one of which is controlling who gains access to your project’s documentation as a result of the sub-contract. You need to sub-contract the manufacture of a circuit board that is eventually going to end up in a sensitive piece of equipment like heavy artillery or a defense plane. The circuit board will control many functions within the equipment, so the entire set of blueprints for the equipment comes with the job, including how weapons are armed or bomb doors open. You don’t necessarily know who is working on your circuit board, but you need to trust that those plans will be treated with the same high level of sensitivity you would treat them. After all, it’s not just your contract that’s at stake with these kinds of projects. The interests of the United States of America are at stake. How can you be sure your sub-contract work won’t get into the wrong hands? The best way to ensure your sub-contract electronic contract manufacturer knows how to handle your sensitive technical data is by making sure it is ITAR certified. International Traffic in Arms Regulations (ITAR) is a set of United States regulatory controls that safeguard national security and foreign policy objectives. These regulations dictate that information and materials related to defense and military-related technology can only be shared with U.S. Persons or with individuals with specific exemptions from the Department of State. What ITAR boils down to is document control. We don’t want foreign nationals to be able to see U.S. defense and FAA documents, so the Department of State requires a specific set of compliance procedures. Electronic manufacturers that work with items on the United States Munitions List must register with the Directorate of Defense Trade Controls. Approved manufacturers adhere to ITAR by holding themselves to ITAR’s extremely high standards. This enables them to produce military-grade products. After registering, an electronic contract manufacturer completes a regulations refresher every six month. Topics may include things like how to store documentation during a project and what to do with it after the project is complete. An electronic contract manufacturer that is ITAR certified understands how to follow ITAR regulations, stays current on them, and holds itself to a high standard of confidentiality. 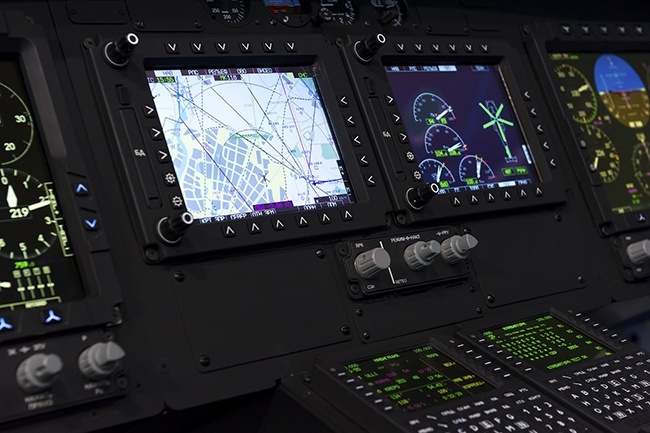 Not all electronic contract manufacturers are interested in being ITAR-compliant. Finding a sub-contract partner with ITAR standards may actually be a little difficult. Levison Enterprises is ITAR-certified and holds all projects, military or not, to the same high standards required by ITAR. Levison Enterprises is the electronic contract manufacturer for your sub-contracted military projects. Even if your sub-contract projects don’t require ITAR, you can count on Levison to design, build, and ship your project with the highest possible controls. Your drawings, flowcharts, procedures, and descriptions are yours. We make sure they are secure while we have them and properly maintained or disposed of when your project is complete. With a commitment to ITAR compliance, Levison Enterprises is able to take on your sub-contracted government work. For you, this means that our products are properly tested to ITAR standards. It also means that the products and all supporting tools and materials are safeguarded as recommended by ITAR. If your electronic manufacturing company contracts projects for the U.S. military, you know that your sub-contract partner must also be ITAR compliant. Levison Enterprises is proud to offer this level of integrity for your projects. If your electronic contract manufacturing company does not require an ITAR level of protocol, you still get it by partnering with Levison Enterprises. Whether you need an ITAR-certified manufacturing partner or not, Levison Enterprises is ready to handle your project with the highest level of professional integrity. Contact Us to experience our standards in your next project.